This article was written by Martin Lindell. 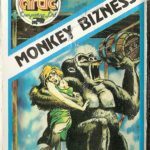 Swedish video game historian and product manager at DICE. 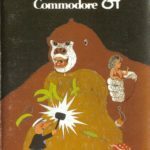 He has written multiple books chronicling Swedish video game history. Enjoy. 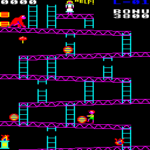 The clones listed are only the once released between 1982 and 1984. 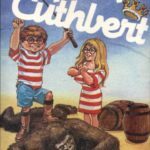 Throughout the years there have been a number of instances when games rise in popularity causing other publisher and developers to follow in the footsteps of the newfound glory. 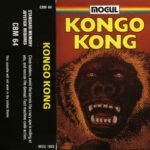 Sometimes it helps rapid innovation but often it just spawns pure clones trying to make a buck out of the trend. At the time of this being written the hot topic is battle royale games following the success of Playerunknown’s Battlegrounds with games such as Fortnite pivoting by adding a battle royale mode, or old established franchises like Call of Duty and Battlefield adding their own royale mode. Ultima Online, that can be argued is a descendant of MUD, popularized the genre MMORPG (Massively Multiplayer Online Role Playing Game) which then opened the flood gate for a slew of new games including World of Warcraft that widely exceeded the popularity of Ultima Online. 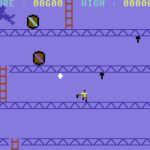 There’s examples of more simple rip-offs such as the avalanche of clones that followed the short-lived fad Flappy Bird. 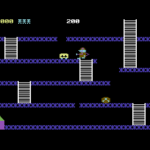 The first generation of clones in the history of video games were derived from the success of Atari’s Pong. 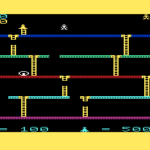 With the limitation of the technical capabilities the various clones did not offer very much variety other than the speed of the ball, number of paddles on the screen, potential barriers on the playfield and similar. Instead we’re going to put the spotlight on the early 80’s. 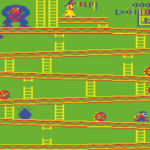 Nintendo had a massive hit with Donkey Kong in the arcades in 1981. 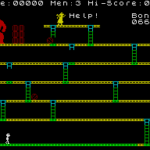 It popularized the platform genre where the protagonist jumps on platforms and avoiding enemies, and in the case of Donkey Kong climbing towards to top to save his girlfriend from the evil monkey that kidnapped her. 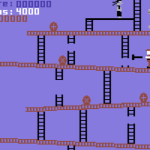 The game was designed by Shigeru Miyamoto that later would conceive Super Mario Bros and The Legend of Zelda. 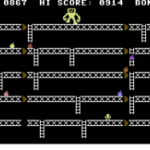 Mario is actually the hero in Donkey Kong, at first he goes under the name Jumpman and Mr Video before being called Mario. 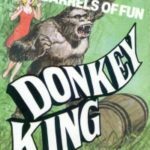 Besides selling like hot cakes, Donkey Kong also spawned licensing opportunities when companies lined up to be a part of the ape craze. 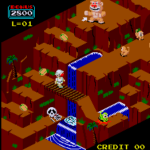 During 1982 the market got flooded by cereals, apparel, toys, board games and in 1983 even a cartoon as part of the Saturday Supercade show on CBS in North America. 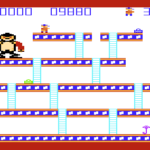 Nintendo didn’t have a natural presence on the home market since they mainly created arcade games and were yet to release their Famicom during the Summer of 1983 in Japan (and a couple of years away from the NES reaching Western shores). 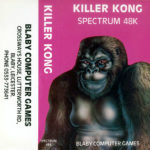 Instead they licensed their successful arcade games to publishers of video games and computer games as an additional source of revenue. 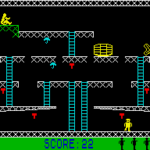 Coleco and Atarisoft did a number of Donkey Kong ports to platforms such as Amstrad CPC, Apple II, Atari 2600, Atari 7800, Atari’s line of 8-bit computers, Colecovision, Commodore 64, Intellivision, MSX, PC, VIC-20 and ZX Spectrum. 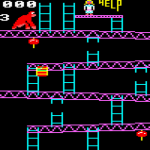 Donkey Kong also spawned a lot of clones. 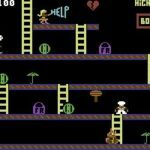 Despite being present on plenty of platforms there were a huge number of home computers in the early 80’s and everyone wanted to play Donkey Kong at home. 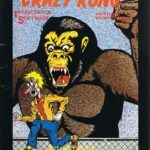 And there were the opportunists that simply wanted to cash in on the arcade hit and beat the official licensed versions before they reached the big platforms. 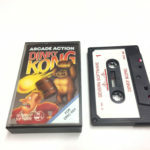 This led to a steep number of similar games that had confusingly similar names like Crazy Kong, Monkey Kong and Donkey King. 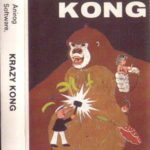 There’s even multiple games using the same name like Krazy Kong but developed and published by different persons and companies. Interesting enough this practice wasn’t yet frawned upon. 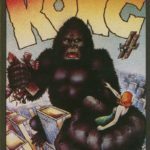 Instead many claimed that Nintendo had already been a copycat by fetching inspiration from the old movie King Kong where a giant ape abducts a woman and climbs the Empire State Building. 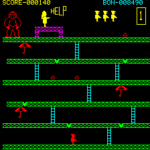 Magazines like British Personal Computer Games had feature articles comparing the different clones under the headline Who’s King of the Kongs (today a headline like that would be interpreted as a nod to the documentary The King of Kong). 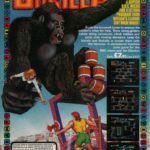 Killer Gorilla for the BBC Micro becomes the winner of their test scoring 9/10, even beating the original Donkey Kong (Atari 400, 800 and XL version) that managed to get 8/10. 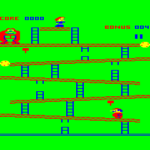 At the bottom we find Dinkey Kong to Oric-1 scoring a measly 2/10. 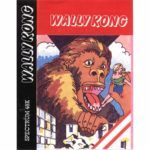 At the same overall score we also find Wally Kong for the ZX Spectrum, but with the saving grace of higher scores in graphics and sound than Dinkey. 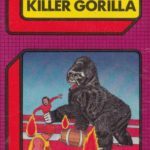 This article is not intended to analyze all clones and compare them to the original. 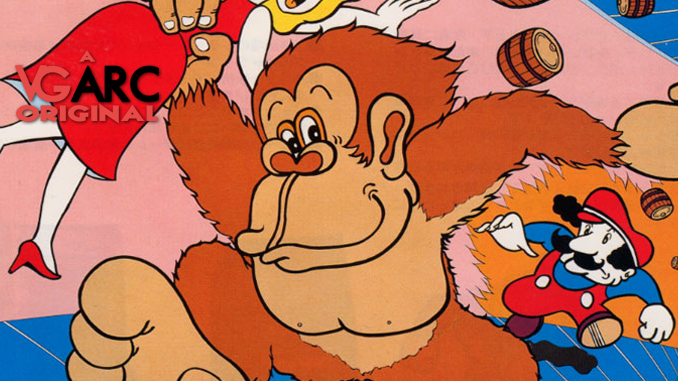 It’s mearly putting the spotlight on the phenomenon of clones and amusingly showcasing all these odd copycats that have become all but forgotten in the history of video games. 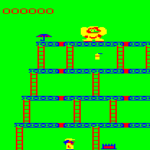 Developer: Tom Mix Software | Publisher: Microdeal | Release: 1982 | Format: Dragon 32, TRS-80 | Note: Title later changed to The King. 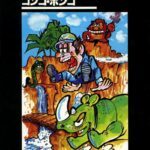 Developer: Sega | Publisher: Sega | Release: 1983 | Format: Arkad, Apple II, Atari 2600, Atari 5200, Atari 400/800/XL, Colecovision, Commodore 64, Intellivision, MSX, PC, SG-1000, TI-99/4A, VIC-20. 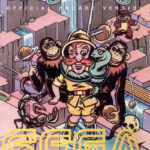 | Note: While it’s cleary inspired by Donkey Kong, Sega did a very different game with an isometric perspective.